Keywords: Lepidoptera, coleoptera, α-chitin, HPLC-SEC, biopolymer materials. In the present study, chitin and chitosan were isolated from flour obtained from adult specimens of Tenebrio molitor and Galleria mellonella. The yield of chitin was 11.6% and 6.2% for T. molitor and G. mellonella, respectively. The degree of deacetylation of chitosan was 80.5% and 88.5% for G. mellonella and T. molitor, respectively. The content of nitrogen (≈ 6.5%), humidity (≈ 5.8%) and ashes (≈ 0.4%) in the chitin and chitosan of both insects indicated an acceptable quality. No differences were observed between the molecular weights of the chitin (≈ 889 kDa) and the chitosan (≈ 254 kDa) of both insects. Scanning electron microscopy revealed fiber structures in the chitin and chitosan from T. molitor; in contrast, the chitin and chitosan of G. mellonella were spongy. Infrared spectroscopy and X-ray diffraction showed α-type polymorphism in the chitin of both insects. 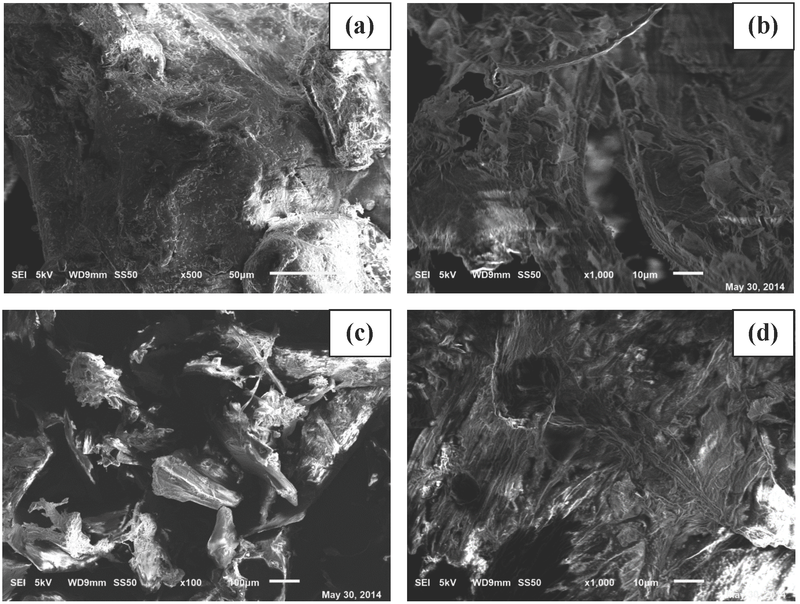 The biopolymers of G. mellonella exhibited a higher crystallinity index than those of T. molitor. Due to the higher yield obtained from T. molitor, this insect could be considered as a promising alternative source for obtaining chitin and chitosan.